Canadian handset maker BlackBerry is planning to extend support to developers at the upcoming StartupVillage in Visakhapatnam by replicating its Rubus Labs model there, according to Annie Mathew, BlackBerry’s India director for alliances and business development. 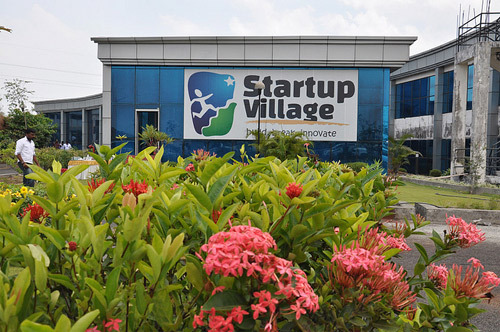 StartupVillage, a not-for-profit business incubator, was started in April 2012 at Kochi in Kerala. It has so far incubated 800 start-ups, including 256 student start-ups. BlackBerry has set up Rubus Labs - its first innovation zone in the Asia-Pacific region - at the KochiStartupVillage, in order to promote development of applications in the BlackBerry platform among the developer community. “Last month, the Andhra Pradesh government signed an MoU (memorandum of understanding) with StartupVillage to set up a similar incubation centre in Visakhapatnam. At present, the government is in the process of creating infrastructure. Once that gets set up, we’ll support the developers in the enterprise support space,” Mathew said on Thursday. Rubus Labs is designed to foster the spirit of innovation in young entrepreneurs and students in India and to provide them with access to the latest BlackBerry products and technical know-how. Rubus Labs has created 200 applications for BB10 global launch. Stating that more and more state governments were evincing interest in collaborating with start-ups to develop government and public apps, Mathew said BlackBerry would offer device and technical support in a virtual environment to the incubation centres that the Telangana government was planning to set up in association with the IndianSchool of Business and International Institute of Information Technology-Hyderabad. “Discussions with Himachal Pradesh for a similar support are already on,” she added. According to Mathew, BlackBerry had garnered 46 per cent of its second quarter revenues from hardware and 54 per cent from software and services. "We don't expect this 46 per cent to change only because of Passport (BB's new handset) launch," she said. BlackBerry Passport, with a 4.5-inch touch screen and three-row touch-enabled physical keyboard, is priced at Rs 49,990. The new smart device, equipped with a 2.2 GHz quad-core Qualcomm Snapdragon processor, 13-MP rear camera and powered by a 3,450 mAh battery, will be available from October 10, 2014. Mapmygenome, a Hyderabad-based molecular diagnostics startup, has designed an app for BlackBerry's Passport handset. The Mapmygenome BlackBerry app will allow users to buy personal genomics services, track their orders and view their reports and recommendations on their phones. For physicians recommending genetic tests, this app helps them connect with their patients, with access to health history, reports and genetic counselors' recommendations. "The app is designed to meet Mapmygenome's requirements of data security and doctor-patient confidentiality," Subash Lingareddy, founder of Mapmygenome, said, adding that the app should be ready for consumer use in a month or so.